The fantastic Skylark Golf and Country Club near Portsmouth played host to a fun-filled and highly competitive night of evening entertainment in the shape of our Interactive Quiz for a brilliant group of guests from InComm Europe. There was undoubtedly a sense of nervous anticipation as our guests took their seats following a day of conferencing, but the nerves soon dissipated and the competitive spirit took over as our 4 teams - Pope's Angels, Simpsons Rats, Team Teflon and The InCommpetents - prepared to battle it out for our much coveted Team Challenge Company Winner's Trophy! There were numerous highlights throughout the evening, far too many to mention, so we have included our very favourite moments below and hope the bring back some fun-filled memories for our InComm guests! Our highlights reel kick offs with the opening round Hit or Miss victory for the mighty Mark and Team InCommpetent - we're not entirely sure he even knew what the song was but wow did he celebrate when he knew he'd won those vital bonus points for his team...legendary! The Hollywood Yearbook Round proved a challenge for many, and who would have thought Steven Spielberg would have grown into his ears so well! In fact, this round set the tone for much of the evening in that we were joined by some fantastic celebrities on the night...from tennis legend Boris Becker through to movie heart-throb George Clooney, and of course nobody could forget our very own Ice Road Trucker!!! The great moments kept on coming, as Interactive Quiz favourite Balloon Tower showed off our teams amazing construction skills! Team Teflon were so confident they played their Joker, and seemed they were right to do so with one of the best designs we have ever seen...however, they just missed out on top spot as The Simpsons stole the show, and the points, with an unbelievable 60inch effort - victory by a single inch! The evening entertainment continued with Capital Cities, where our much-loved Matteo finally came good and caught up with what was going on...the crowd erupted in delight as he stood up and squeezed with all his might whilst roaring across the room...ROOOMMMMEEEEE! A strong showing for Pope's Angels in this round kept the scores pretty tight as we entered the half-way point of the Quiz Night - the trophy really could have been anybodys! Name the Year was a riot, and there were loads of 'One Year Outs! ', whilst our penultimate round Bridge Build once again put our teams technical skills to the test! Team InCommpetent chose to drive across their gap first - which really was just a gap as their bridge collapsed before they could even start driving! Pope's Angels had a most wonderful design, but not even our Ice Road Trucker could navigate this one safely, and crashed to the floor below. The Simpsons Bridge was outstanding and crossed with ease, but the biggest cheer was reserved for Team Teflon and the mighty Rich! With a crazy design that meant the struts were actually narrower than the car wheels, it took pure genius driving to get from one platform to the other - cometh the moment, cometh the man, as Rich stepped up with aplomb and cruised to victory...my hero! The final Name the Tune Round had everybody on their feet and grooving to the beat (especially our best dancers in the room...absolutely loved Laura's Running Man, sensational! ), and with that all was said and done, all that was to come was the trophy presentation. But first, the Wooden Spoon, and despite a perfect 1000 points in the final round, there was nothing Pope's Angels could do to avoid last place...much to the delight of everybody else! Looks like another 4th place for an Arsenal fan this year!!! Team Teflon finished in 3rd, whilst The InCommpetents missed out on top spot by just 150 points - a hugely dramatic finish which saw The Simpsons Rats crowned champions and lift the Team Challenge Company Winner's Trophy aloft to the sounds of rapturous applause! This is what it feels like to be a Winner! A fantastic night of evening entertainment had been enjoyed by all, and a massive shout out and thank you must go to Laura for all her efforts in bringing everything together and organising such a brilliant event. 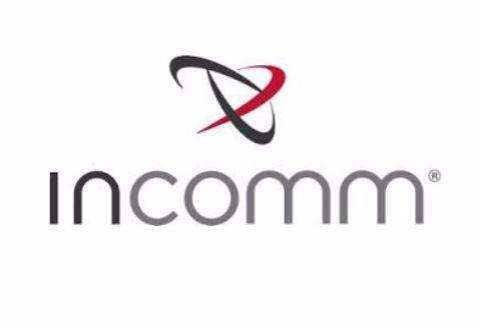 It was a very great pleasure to work with the entire InComm Europe team, we very much hope you enjoyed yourselves, and hope to see you all again soon for the re-match. It was an absolute pleasure to work with Laura in the organisation of this event and reading over the blog and photographs it seems to have been a lot of fun! I very much look forward to working with you again in the future for the rematch.